Microsoft, along with Undead labs have decided to give Xbox One users a treat by porting the popular zombie-survival game State of Decay, to the Xbox One. 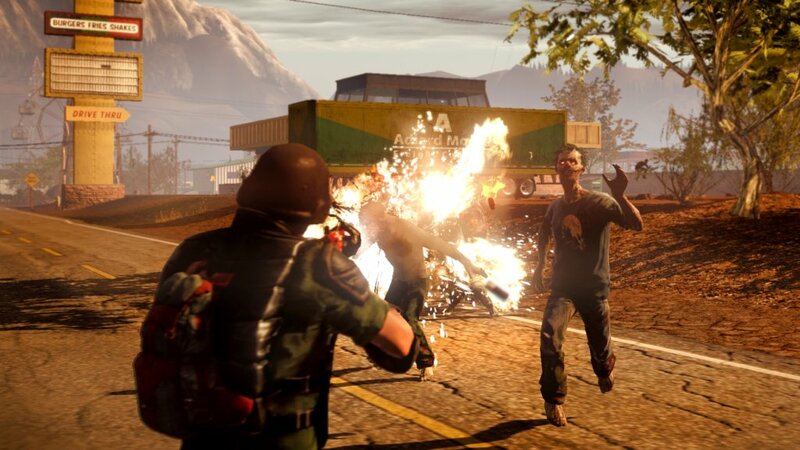 State of Decay, for those who don’t know about the game, is an independent zombie survival game originally developed for the Xbox 360’s Live Arcade. The game turned out to be a sleeper hit, garnering a good amount of attention from the gaming community and press. Although the game didn’t go without it’s flaws, which ended up getting ironed out for the PC release on Valve’s Steam platform, which turned out to be an even bigger success than the Xbox 360 version, getting more content, and modes to boot along with the graphical upgrades. An Upgrade Plan for Xbox 360 Owners of State of Decay allowing owners to upgrade to the Year one edition for a 33% discount until June 30, 2015. To qualify you must have the original base State of Decay and have the same active Xbox Live Account when the game becomes available. An exclusive Character for All State of Decay users named Gurubani Kaur, who uses a unique Indian Cavalry sword as her default weapon. To acquire her, you need to have purchased the original base State of Decay in order to use her when the game becomes available. All ‘first year’ content remastered for the original State of Decay as well as it’s major add-ons ‘Breakdown’ and ‘Lifeline’ in 1080p resolution, with new lighting effects, textures, and shadows. Xbox One Additions such as new achievements, 1500 gamer score, community challenges and rewards, individual rewards, and game dvr. New Suv added to the vehicle roster with 25 new vehicle skins distributed across all maps. A New Mission Type which involves mysterious crates randomly appearing in remote parts of the map that attract hordes of zombies. Overcoming the horde and gaining access to these crates will reward you with some of the rarest loot in the game, so look out for these. You can now use the characters from ‘lifeline’ add-on in ‘Breakdown’ with a new set of challenges. New weapons like the under-barrel grenade launcher for assault rifle’s, and incendiary ammo for shotguns. 30 minutes of additional music from award winning composer Jespyr Kyd. Community Improvements. Now facility actions from the ‘lifeline’ add-on shows up in both add-ons and the base game, actions like snack making and ammo refilling at your home base. NPC enclaves are also improved making it easier to trade and build trust with them. So for those who are looking for an improved version of this game for your shiny new Xbox One, or just didn’t want to have a gaming pc rig just to play it, this sounds like the deal for you. The game’s current release date will be released April 28th,2015 in North America and May 1st, 2015 Worldwide at the Price of $29.99; ₤19.99; €29.99.